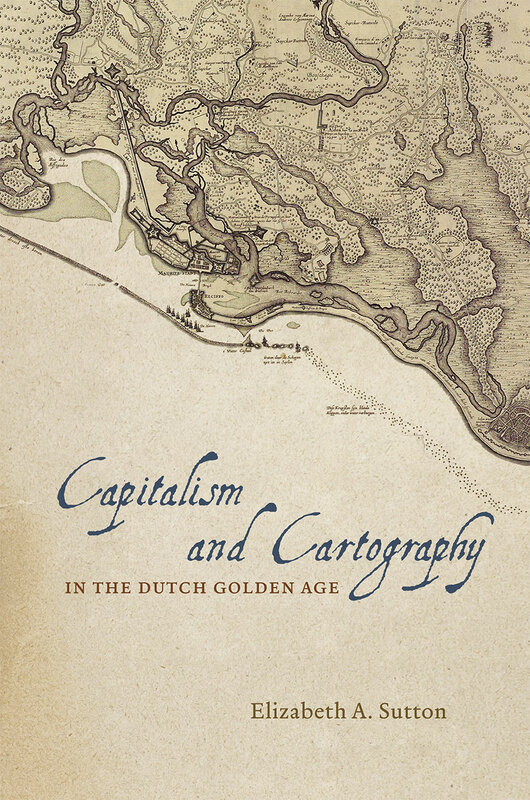 Capitalism and Cartography in the Dutch Golden Age. Chicago: University of Chicago Press, 2015. 184 p. $50.00. 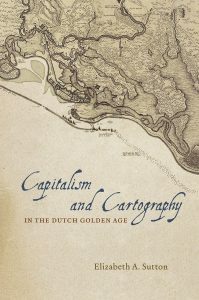 In this brief but incisive study of how seventeenth-century Dutch cartography supported and in some ways shaped Dutch imperial policy and practices, Sutton brilliantly connects prominent social, political, and economic philosophies of the era with contemporary city planning, architecture, and popular print media. Sutton’s reading of the similarities between Dutch municipal and colonial maps beautifully enhances and reinforces her argument that the Netherlands’ seventeenth-century acquisition of territory originated in and followed the “expansionist logic of capitalism” (3). Sutton devotes half of her book to the analysis of contemporary maps of Amsterdam, demonstrating the influence of figures such as the legal and political scholar Hugo Grotius and the cartographer Claes Jansz. Visscher on the visualization of Dutch hegemony in city maps and plans. The work of these and other significant thinkers and craftsmen in turn influenced the visual culture produced and distributed to underscore Dutch imperial rule in Brazil and New Amsterdam, which was often visualized as inherently non-native and orderly. This modest book is primarily devoted to scholarly narrative and the cartography selected to illustrate Sutton’s text is well-chosen. Though adequately reproduced in black and white, these images are small and readers compelled to experience the dazzling impact of, say, Visscher’s stunning work, which was often hand-colored, will wish to see other examples of these maps, many of which can be viewed in color online. This book is an impressive scholarly effort relevant to many fields, especially economic and colonial history. Cartography and geography scholars will gain a richer understanding of the theoretical and philosophical thought that influenced how maps were conceived and illustrated during the 17th Century. At the very least, this book belongs in research libraries supporting research in European history, though its contents will appeal to general readers, too. While Sutton’s roots as an art historian are evident here, this book clearly demonstrates a gift for unpacking complex intellectual and social influences on visual culture. In addition, Sutton is a remarkably self-aware researcher and writer, and the pains she takes to point out the limitations of her own positionality are refreshing and support the credibility and necessity of her work.